As Quilt Market preparations continue, I am working a lot more and doing household stuff a lot less. Hhmmmm.....is that necessarily a bad thing? Anyway....regular readers of my blog know that I love a good slow cooker recipe, and when my time is limited, I rely on them to get me through. Here is the recipe that is my family's all time most requested slow cooker dinner. Truly a delicious meal! The best part is it couldn't be any easier!! Place chicken in a 4 Qt (or larger) Crock Pot. In a medium sauce pan, melt butter. Stir in the soup, wine, salad dressing mix, mushrooms & cream cheese, stirring until all is melted and combined. Pour soup mix over the chicken and cook in the Crock Pot on LOW 5-6 hours. Serve chicken and sauce over hot pasta; top with shredded parmesan cheese. No matter how much I plan ahead, the weeks just before Quilt Market are always a whirlwind of activity. I am a planner, a champion To-Do list maker, and a highly skilled multi-tasker.... and still the crunch happens every time! Ugh. I guess it's the nature of the beast. I share this with you not to complain....but to explain... why I haven't been doing a better job of posting. So, I thought I'd just share what's been cookin' in my quilting kitchen. In addition to designing and piecing The Farmer's Daughter quilt for Farm Fest in July, I've also been working on all new projects for Journey Three of the PWSC club, along with a few new additions and changes to the club program to keep it fresh and exciting! Since the beginning of February, I've also hired a new company to build a brand new website for me. It's been a whole lotta work, and a whole lotta fun, too! Naturally, its taken a lot longer than we thought, but I really hope it will be finished in a few weeks. 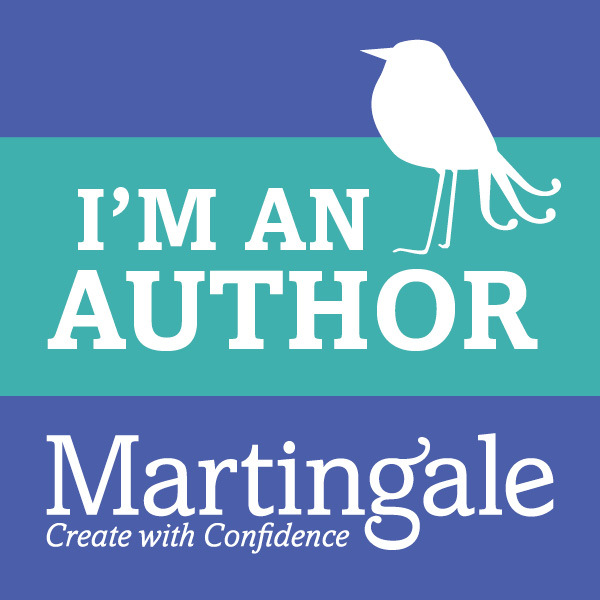 When the website is up and running, you'll also find a larger selection of program lectures and workshops as my invitations to guilds and quilt shops have grown. 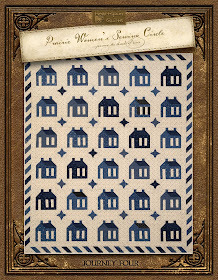 The very first Vintage Stitches pattern will be introduced at Quilt Market in a few weeks. 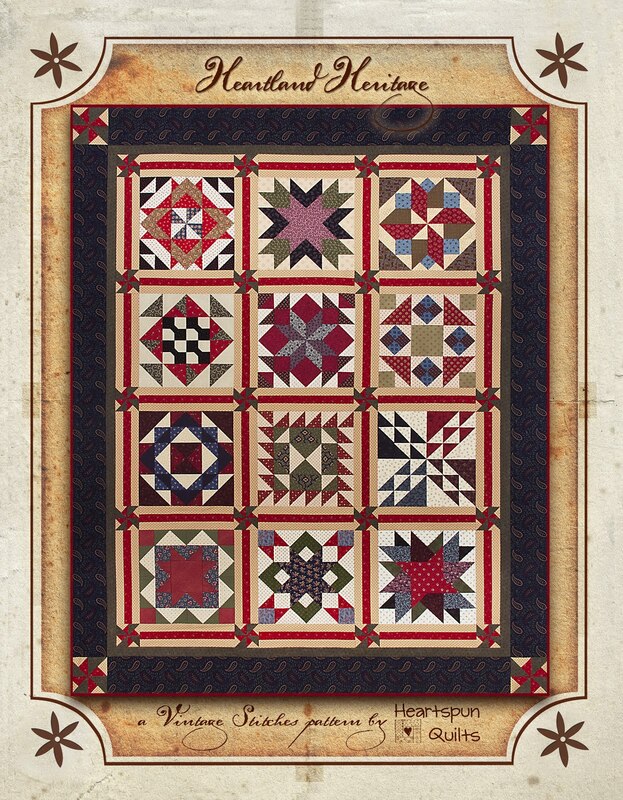 It's a Block of the Month quilt called Heartland Heritage. Some of you may already be very familiar with Heartland Heritage as it was the first BOM I designed in partnership with the Fat Quarter Shop. 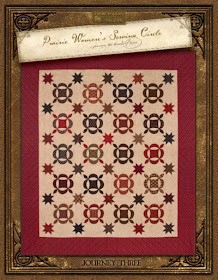 We've remade the quilt using all Civil War reproduction fabrics and we love how it turned out! Well, those are just some of the new things that I've been working on here. There's always something new brewing! I'll keep you posted on my Quilt Market progress in the next two weeks. I'd also like to take a moment to thank each and every one of you for stopping by to visit! I also want to extend a special thank you to everyone who takes the time to comment on a post or send me an email. I enjoy reading your emails and comments more than you know and I appreciate it so very much. 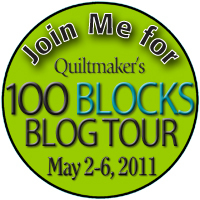 Save The Dates for a fun Blog Tour with Quiltmaker Magazine! I look forward to this twice-a-year event because it's soooo fun. We all have our favorite quilt blocks, to be sure, and most of the time, we make quilts using traditional blocks.....but, every now and then it's great to break away from tradition and try our hand at something new. Well.....this is the magazine that will inspire you to do just that! 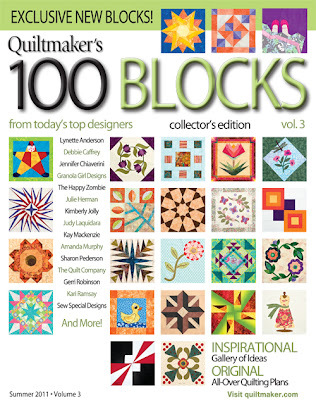 I am very pleased and honored to say that I have an original block included in this magazine! It's fun to doodle and play with fabrics and block possibilities until you discover just the perfect combination that creates something fun and new. My block will be revealed to you on May 3rd! As for the blog tour, mark your calendars! The tour starts on Monday, May 2nd and goes thru Friday, May 6th. 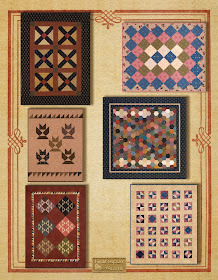 Just so you'll be ready, here's the link to the blog hop where you can see the blocks that some of the other designers have created, learn what inspires them, and participate in the great daily give-aways by Quiltmaker magazine, too! To see all One Hundred of the brand new blocks created by today's top designers, you'll have to get yourself a copy of the magazine. It's scheduled to be on the newsstand on May 10th. Did I mention that every designer on the blog hop will give away a free copy of the magazine to one lucky winner? You can WIN a copy by visiting my blog on Tuesday, May 3rd and I'll be giving away magazines to several lucky winners! Sounds like fun, doesn't it? Now....would I lie to you? Never!! ﻿This year is the 150th anniversary of the American Civil War. 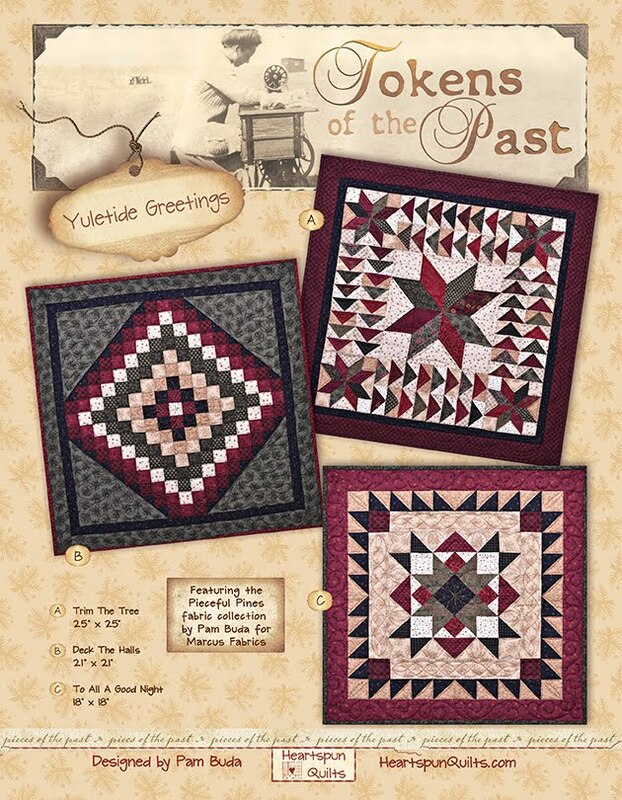 There are many events in the quilting world dedicated to the remembrance of this remarkable time in our country's history. 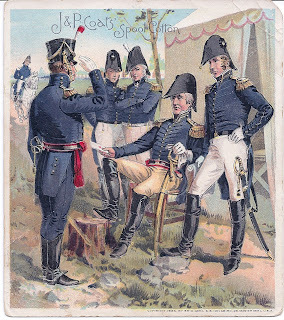 I am drawn to the Civil War era for many reasons. First and foremost because of the seemingly limitless bravery of the men and women who, with barely any resources (compared to how we live now), fought for what they believed in. Life was hard, harsh, often rudimentary in so many ways, and yet they strived to make a better home, community, country. Not just the men who fought in the war, but the women who stayed behind as well. Today, bravery still exists. The fight to sustain America's freedom still goes on within the heart and soul of every patriot, and in each of our soldiers serving in our armed forces. They are asking each of us to make ~ just one star ~ block. Click here to get the directions for the block. 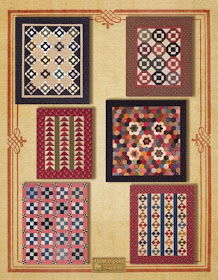 Send your block to Moda, where they hope to piece 100 quilts for our soldiers serving in Iraq and Afghanistan! Here's a picture of the block I made. Use your scraps! It doesn't take but an hour to make Just One Star for a very worthy cause!! 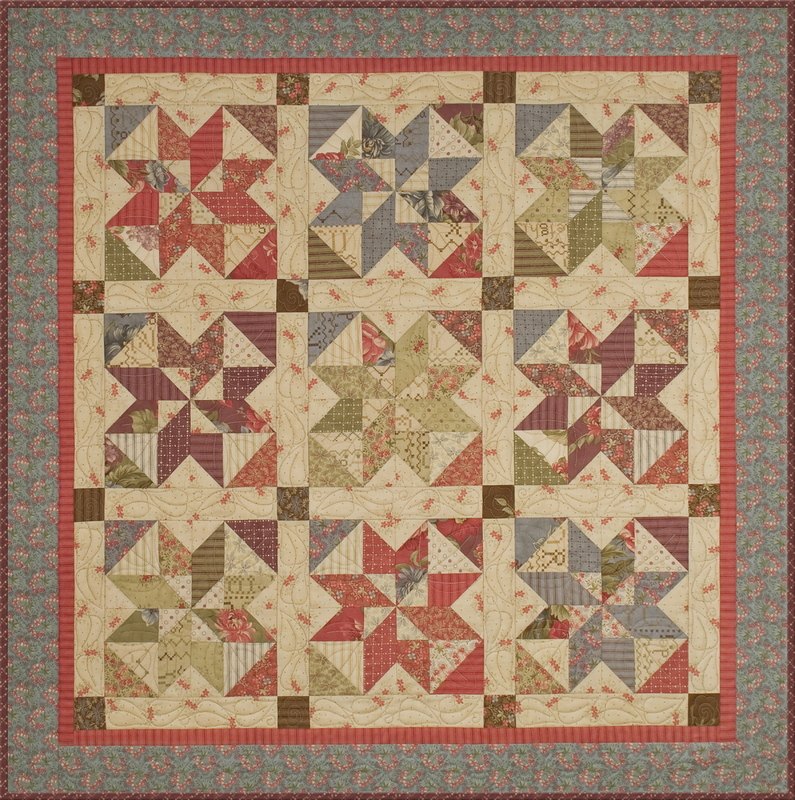 Visit Polly Minick & Laurie Simpson's blog to see a tutorial of how the block is made. Don't delay....Moda's deadline is May 1st! Journey Three ~ First Peek!! 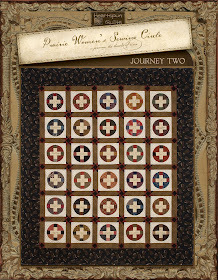 This is your first peek at one of the new projects for The Prairie Women's Sewing Circle ~ Journey Three! 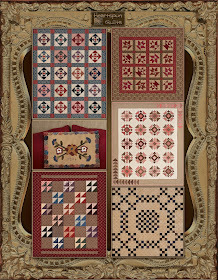 I love the combination of red, brown and black, and there are so many luscious Civil War reproduction fabrics in these colors. It wasn't hard to find oodles of fabrics to work with.....what was hard was limiting my self to 20-30! Wanna know what I'm making with these fabrics? A block I absolutely adore! This is a Reel block. There are a few versions of the Reel block and I chose a fairly traditional one. (What the rest of the quilt looks like will be kept secret for now.) I adore how "showy" the block is. It really makes a statement in a quilt! And yes, this block is appliqued. In the future, I will post a tutorial about how the block is made, and... when it's time, I encourage you to give it a try. There are many applique techniques out there and there's bound to be one that suits you! I know that applique is a F O U R letter word to some of you, but don't despair! If applique still isn't your cup of tea.....and without giving too much away....you won't have to miss out on making this quilt altogether. There are some very new features coming to the club in Journey Three.﻿ The core aspects of the club won't be changing, but I'm very excited about bringing in new, creative things for you to enjoy. So...that's your first peek at what's coming from me in the coming months. Stay tuned right here for more news about Journey Three and a lot of other fun stuff that I've been working on. Thanks so much for visiting with me today, and let me know what you think! ﻿It's a good feeling when you finally get unpacked from a trip, don't ya think? Now that everything is back in place, I've had a chance to catch up on a few things that needed my attention. I've also been loving the new fabric finds I bought, letting them swirl around in my head to collect into new ideas. While I was traveling to Wisconsin from home (the Chicagoland area), I made a few stops. 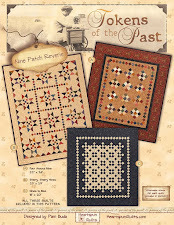 The first was to a favorite shop ~ The Quilter's General Store in Rockford, Il. My dear friend, Deb Peterson owns this shop. Yes....I enter with a happy heart full of anticipation of the goodies I will find, and leave with a happy heart because of it! Because Deb asked, I reluctantly posed for a photo next to my quilt, The Farmer's Daughter, which was designed for the shops upcoming Farm Fest event. I hope you'll be tempted by one of the many class offerings! Farm Fest is a blast, so if you're looking for something fun to do, please consider joining us. You can learn more about Farm Fest using the link above and by reading my blog post of April 4th entitled "Camp WannaQuilt"!! 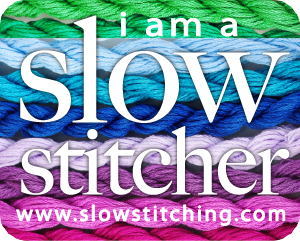 From the Quilter's General Store, I traveled to another of my all time favorite shops, JJ Stitches in Sun Prairie, WI. The store was buzzing with many shoppers, and my friend and shop owner, Julie Hendricksen was busy packing, getting ready to travel to Cincinnati for Quilt Festival. I didn't have the heart to ask to take photos, but needless to say, the shop was as glorious as ever. 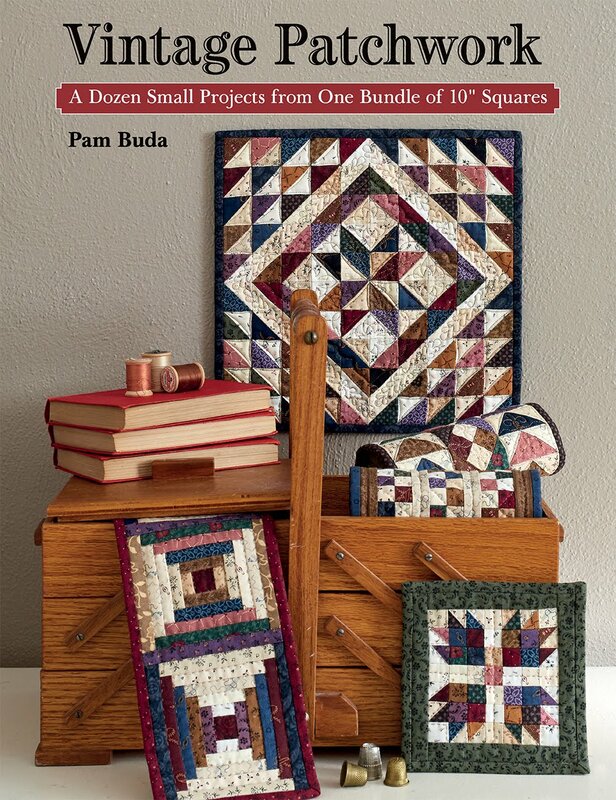 From there, I went to the Country Sampler where I spent 4 wonderful days retreating at the 2nd Story with my pals, Lynne Hagmeier (Kansas Troubles Quilters) and Lois Sprecker. Lynne & Lois worked on several new quilts that will be shown at Quilt Market next month and I worked on a new quilt for the Prairie Women's Sewing Circle ~ Journey 3. I promise I will show a sneak peek of that quilt in my next post. Promise!! I arrived back home just in time to head over to my very favorite local shop, The Quilt Merchant. The Quilt Merchant is home base for me, and is where I teach the PWSC club every second Saturday. We have the most amazing group of Prairie Women! Most of these ladies are my founding members!! Along with shop owner, Docia Fuller, they all took a chance with me when the club was unheard of, and have been with me ever since. They will always have a special place in my heart. These Prairie Women are a busy, talented, productive bunch as well. They bring wonderful Show-N-Tell every month! ﻿﻿﻿Choosing their fabrics and showing their creativity! They are all very inspiring to me! Thank you for stopping by today....I hope you enjoy your day! Last Tuesday, I packed my car and headed for Wisconsin for a girlfriend get-away. I shop hopped my way there, of course, and did my part to sustain the current economic growth. My stash needed a boost. That's my story and I'm sticking to it. No snickering from the peanut gallery!!! I brought my laptop so I could post photos on my blog. Well....I discovered that laptop and camera are all well and good, but we were in a no "internet available zone". Try as we might, we couldn't get a connection, short of standing on a chair facing east wearing a tin foil hat. Anyway....we did have a great time. I have lots of unpacking to do, mail to sort thru, and orders to fill, but in a few short days, I'll have a couple of photos to share.....including the first peek at the first Journey 3 project! As a quilt designer, one of my favorite things is to see a quilt I've designed made in different fabrics or colors than those I used. Usually, in the planning stage, the quilt lives in my head for awhile as I ruminate over the possibilities. Once I get a clear idea of how I want it to look, I hone in on a particular color palette and/or fabrics and never look back. So....it's very, very fun for me to see what someone elses interpretation is with the same design. If this is something you love to see too, then I invite you to visit two websites where this happens every month! First, the Pink Pincushion blog is where you'll find Sinta. 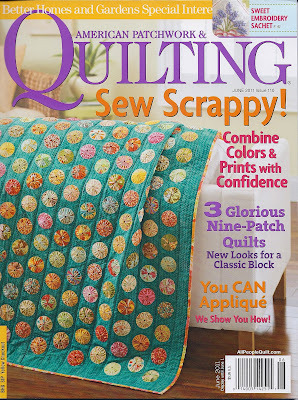 Second, Sherri writes on her blog A Quilting Life. These two best friends write about all kinds of interesting fun stuff to be sure, and each month, they host a club called Le Petite ~ A Year of Small Projects. 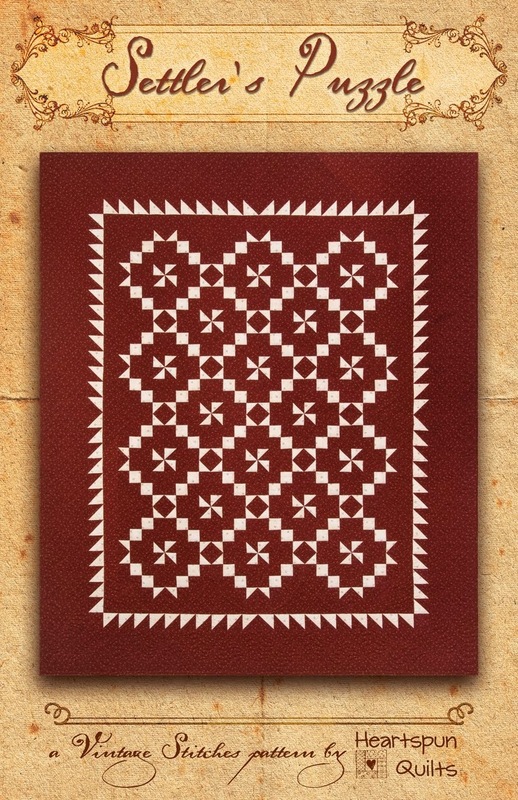 Each month, Sinta and Sherri choose a pattern for a small project for Le Petite. You are invited to purchase the pattern and make the quilt any way you'd like to. At the end of the month, everyone sends a photo of their quilt, then Sinta and Sherri have a parade! This photo "parade of quilts" is when you get to see what everyone did with the same pattern, and this month's parade features one of my quilt designs called Endless Summer! 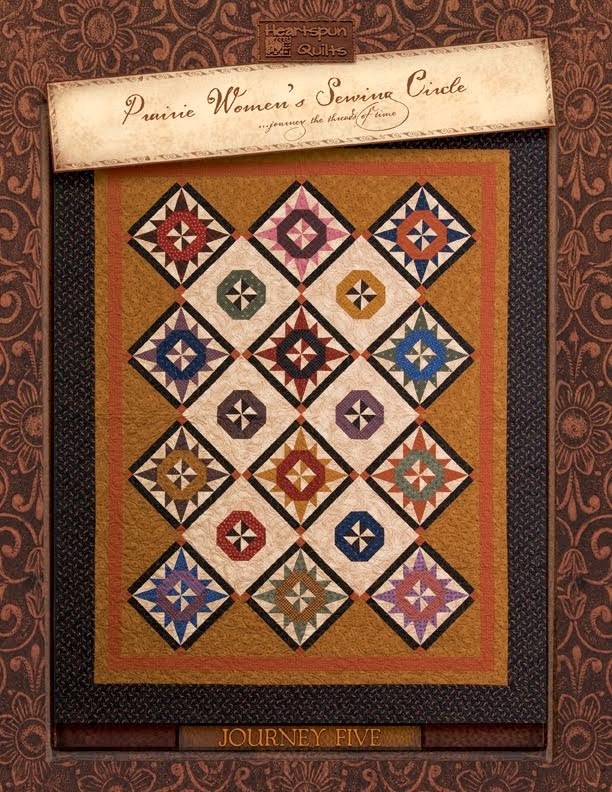 I encourage you to visit both Sinta's and Sherri's blogs and enjoy all of the different versions of my quilt. Everyone did an outstanding job!!!!! I love it! If you'd like to purchase the Endless Summer pattern, click here. My heartfelt thanks to Sinta & Sherri!! Enjoy the Endless Summer Parade! One of the best things about summer is going to camp. When you're a kid, there are ﻿so many to choose from. You pack a bag, you take a ride in the car, wave goodbye to mom and dad, and start a week of play time doing something you love! When you're all grown up...not so much. But this year can be different!! Do these blocks look familiar? 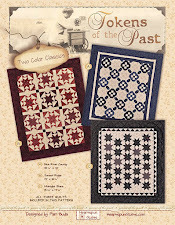 If you recall, I made these blocks awhile ago promising to tell you what they were for and show you the finished quilt. Well....it's time! It's not just two days of quilting....it's food, fun, prizes, shopping and surprises. If you'd like more information about Farm Fest and Camp WannaQuilt click here. This is your chance to go to camp this summer!! Common....you know you want to! Pack your bag, take a ride in the car, and wave goodbye to your loving family, laundry and dishes. Take some time to play. I'll be there waiting for you!! P.S. The Farmer's Daughter pattern will be available soon. 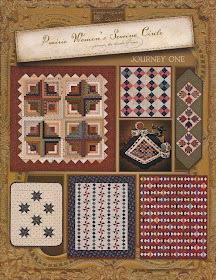 It will be sold for a short time only either from The Quilter's General Store or directly from me. I'll let you know when it's ready! If you are regular reader of my blog, then you know that I am on a mission to educate and share my love of Make-Do quilts with all of you. Well....my mission just got a huge boost! 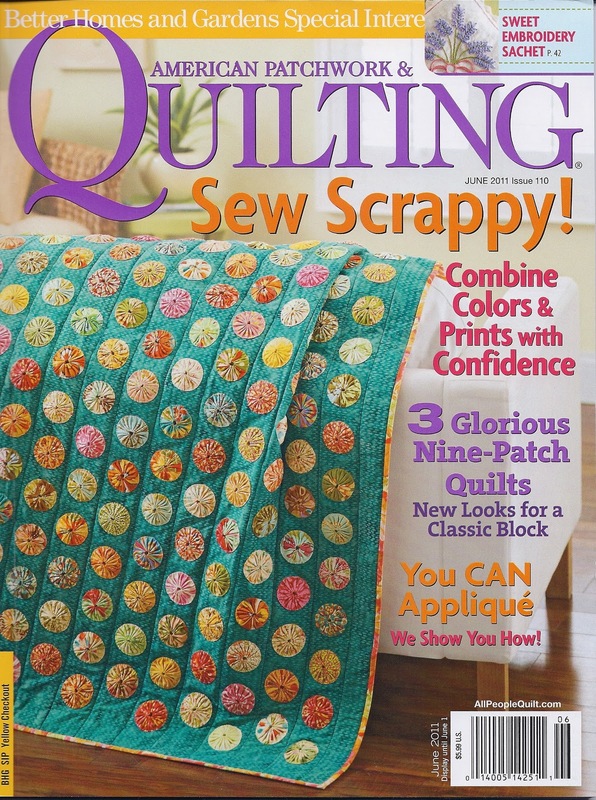 In this, the June 2011 issue of American Patchwork & Quilting magazine, you will find my article called The Quilting Tradition of Making-Do! I am so proud to have worked with the editors and staff at AP&Q magazine on this article and thank them for all of their help! They're always a dream to work with. Together, we hope that you will come to love and appreciate the Make-Do tradition. 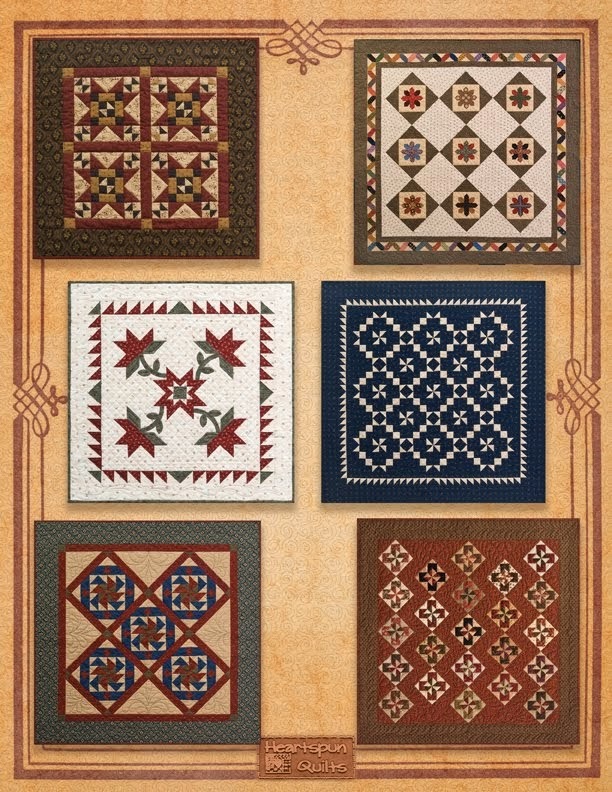 If you are one of the many quilters whom love to replicate nineteenth century quilts, then at least some of your quilts should have "make-do" elements in them. 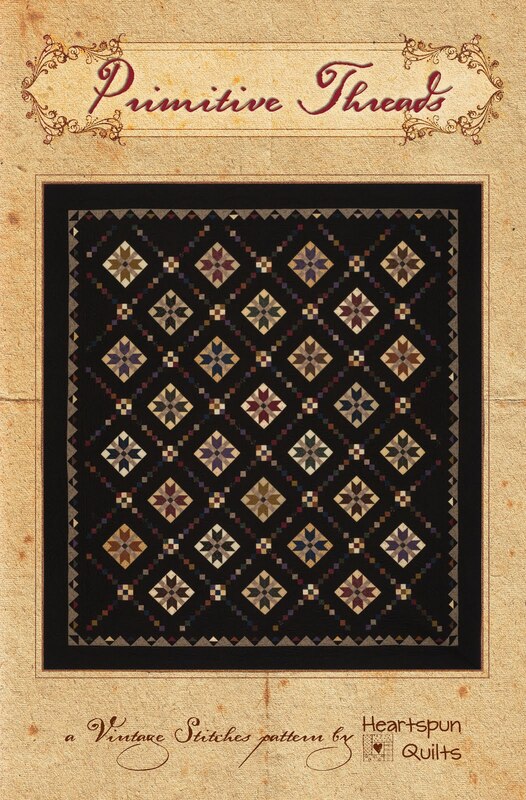 After all.... that's how so many nineteenth century quilts were made! If you would like to know more about the "make-do" quilting tradition or how to authentically "make-do" in your quilts, join The Prairie Women's Sewing Circle club at a quilt shop near you. 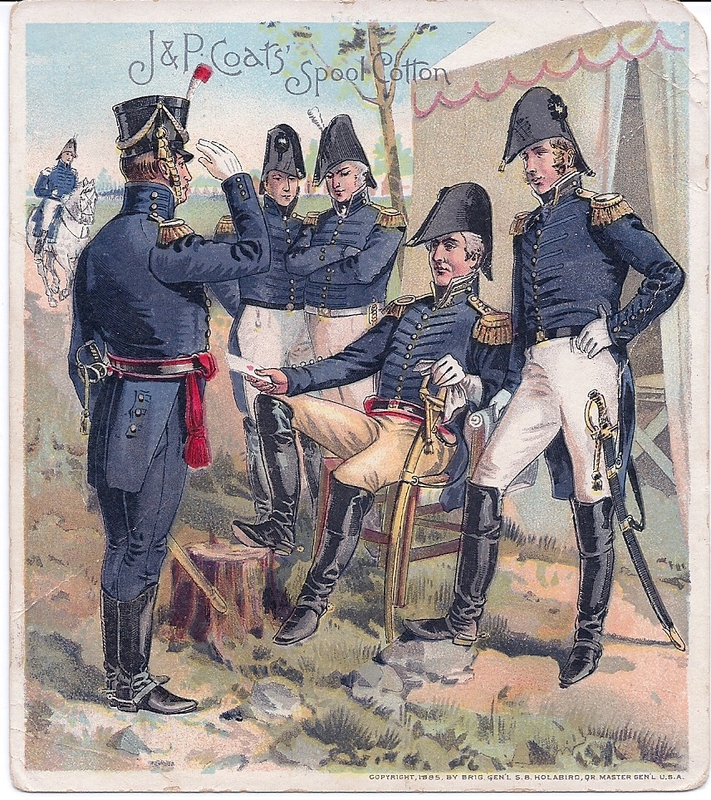 The PWSC club features lessons in making-do, American history, and stories about what daily life was like in the 1800's, and much, much more each month! Starting in 2012, I have a brand new lecture presentation & workshop, not surprisingly called The Quilting Tradition of Making-Do. 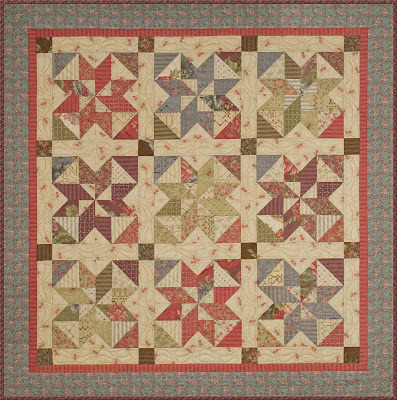 The presentation educates quilters on all aspects of a make-do quilt and how to spot make-do elements in all quilts. I also bring a trunk show of my Make-do quilt collection, including those featured in the magazine article. The workshop is a fun, interactive way to practice the art of making-do in a small quilt project. Email me if you'd like more information about my lectures/workshops. Quilters of America and the world....go forth and Make-Do!